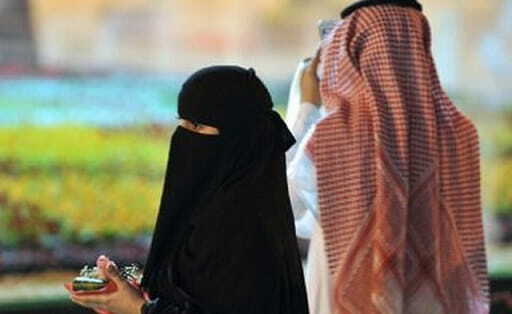 Saudi Arabia's brides are asking for more rights as part of their marriage contracts in a growing trend in the Kingdom, However the conditions are not limited to only brides but it also for grooms. In one case, A couple demanded full privacy of their mobiles, The bride did not want her husband to go through her mobile at any time and the groom accepted it with the same condition for him too in their marriage contract. - While the other demanded to live in separate apartment instead of living with her in-laws as she feared they will make her to serve. - In another bizarre case, A bride demanded her right to promote some items for sale on her social media accounts including Instagram account. - In another case, A bride requested as right in her marriage contract, her husband should allow her to travel abroad with her friends . - In another example, Instead of a bride, her father demanded he should receive half salary of his daughter every month after marriage,. - While in another instance, Bride's mother requested to allow her to stay 3 days in her daughter's home in order to see she was faring well.